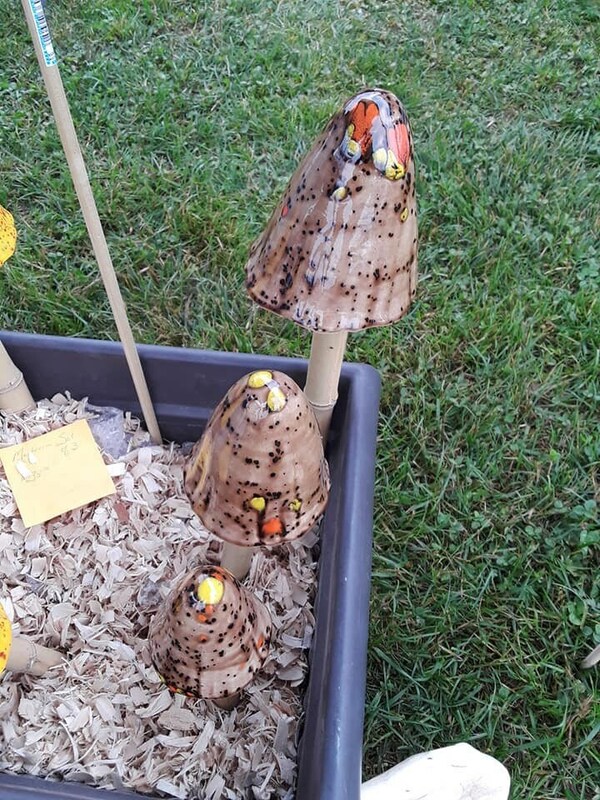 Decorate your gardens with mushrooms! These caps are glazed so they can go outside. This set is a rich brown color with color burst of yellow, orange and black. The large bamboo stem measures approximately 18 nches long.The medium stem measures approximately 13 inches long. The small stem measures approximately 9 inches long. The caps measures 5.5 inches high by 5 inches wide at the base down to 3.5 inches high by 3 inches wide. I make these to order, so please allow at least 2 - 3 weeks for delivery. Thank you!